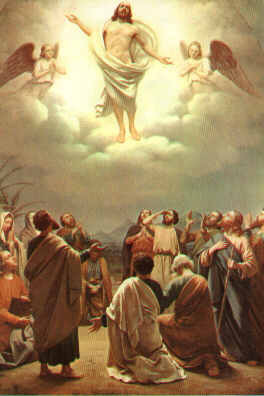 Today on May 25th is Ascension Day. Now, if you’re unsure as to what this even entails, let’s inform you that today, thirty-eight days after Easter, was the day that Jesus Christ’s soul ascended into the heavens, for good. So, a very special day indeed, and if you’re feeling any kind of void today, it might just be that it’s because Jesus’s soul left Earth today, circa 2,017 years ago or was it 1,984 years ago? We just can’t be totally sure, even if we flipped open a Bible or so, which we don’t currently have on us or around the vicinity of where we are, and nor are we in some “Hotel, Motel or Holiday Inn”, for us to be able to open the bedside table drawer to pull one out and read through the whole “holy book” at once, to give you the exact date and time, either. So, for that we apologise. But, let’s take a moment to think about Jesus today, because not many people do that very much anymore it seems, however the powers of Jesus, is more than likely still amongst us, somewhere, even if you pray to him, which many people still do. In countries in Scandinavia it’s a national holiday, as it is in Brazil, Argentina and in other latin countries, like Italy, Spain and a whole host of others that refer to this day as “The Feast of the Ascension of Jesus”. That does sound quite good doesn’t it and we’re considering ordering in tonight, perhaps? Not just because we are super lazy to cook, but because sometimes to create a feast, you must order it, sort of like a prayer to Jesus. You must order your wishes of what you want and (pondering about what food to eat now) but, we will most definitely leave out the wine today. Is it custom to indulge in some wine today in respect of Jesus? Red Wine in church, just a sip of it, sometimes symbolises his blood, whilst a symbolic water cracker symbolises his flesh. We’re currently considering Pizza and a Coca Cola perhaps, with no blasphemy intended on this day of Feasts in honour of Jesus, which makes you think of a Pepperoni Feast, at the same time. But in all seriousness, this Christian festival of worship dates back to 68AD. Just give Jesus a moment’s thought today and know that Christianity and Catholicism, still very much exists in countries, although, hardly ever spoken of, unless you see the Pope on television or you’re in fact a devout practicing Christian. There’s absolutely nothing wrong with that and we wish you a happy ascension day celebration, whatever you decide to get up to. Before Jesus left the Earth, after his resurrection, he spent some 40 days teaching his disciples his message, to pass onto future generations, for years to come, before finally ascending to the heavens and taking up his post, to answer to people’s prayers. So, if there ever was a day to praise Jesus, despite on the day of Easter, of course, today is that day for singing hymns, praying and attending church. 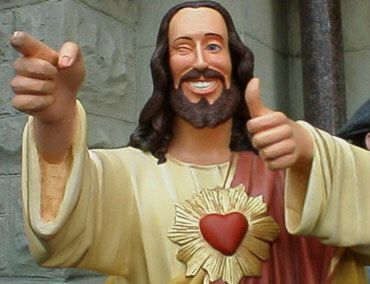 So, with that in mind, we wish you a Happy Ascension Celebration, regardless of your religion or religious beliefs. Oh, and please do let us know in the comments section, if there was anything about this day, that we completely forgot to mention.